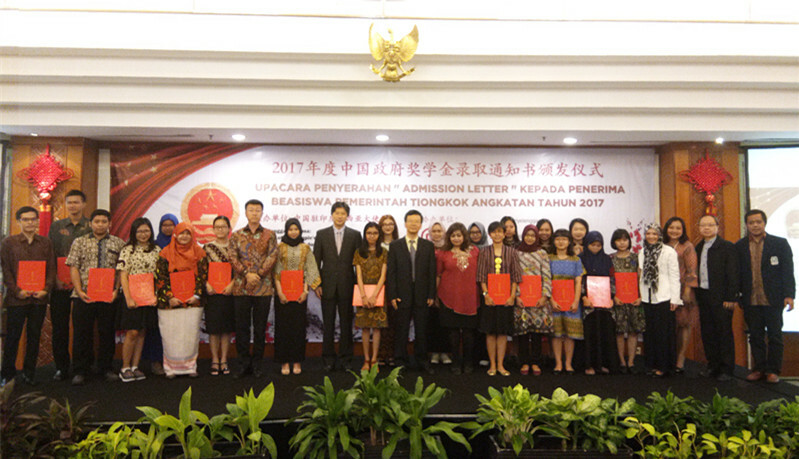 On 21 August 2017, the Chinese Embassy in Indonesia held the 2017 Chinese Government Scholarship Award Ceremony in Jakarta. 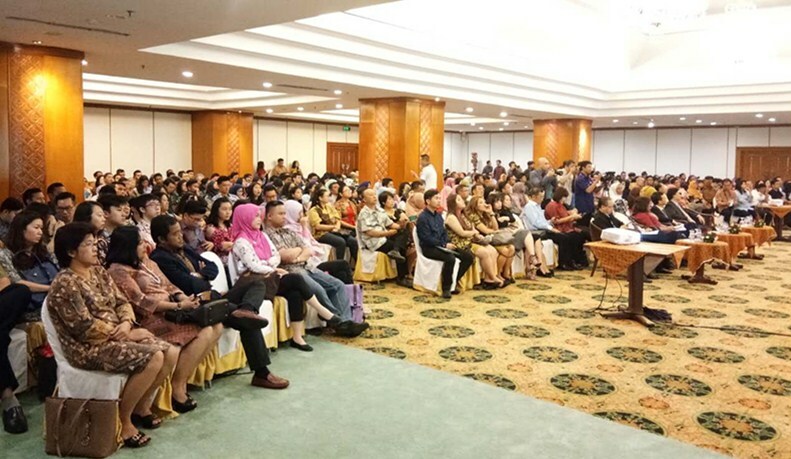 More than 400 guests including 215 scholarship recipients and their families, as well as the representatives from the Indonesian educational sector attended the ceremony. Mr. Sun Weide, Chargé d'Affaires of the Chinese Embassy in Indonesia, delivered remarks at the ceremony. He remarked that this year the Chinese government provided 215 scholarships to Indonesian students, the number of which exceed that in 2015 by 11 folds. Nowadays China is the second largest overseas education destination for Indonesian students and there are over 14,000 students pursuing academic degrees in China. The educational exchanges and cooperation has become an integral part of China-Indonesia People-to-people Exchange Mechanism at the Deputy Prime Minister's Level, which is poised to continue growing and expanding deep and wide, achieve more results. Afterwards Mr. Sun Weide, Chargé d'Affaires and Mr. Zhoubin, Cultural Counselor of the Embassy presented the admission letters to the recipients. Mme. Nada Marsudi, Director of International Cooperation of Ministry of Science, Research and Higher Education of RI, Mr. Du Qiqi, Assistant Country Manager of Bank of China, and representatives of the Chinese Scholarship recipients and Alumni Association for Indonesian Students Studying in China respectively delivered remarks during the ceremony.